I love fall festivals and I loved the chance to see Quinn Brown’s corn threshing machine at the Half Century of Progress show. Quinn Brown and his friend KennethAlbert were entrepreneurs during the 1950’s. The two purchased the machine and went into business. Brown is from Greenup, Illinois and said that he and Kenneth Albert a friend from Hidalgo, a town seven miles south of Greenup. 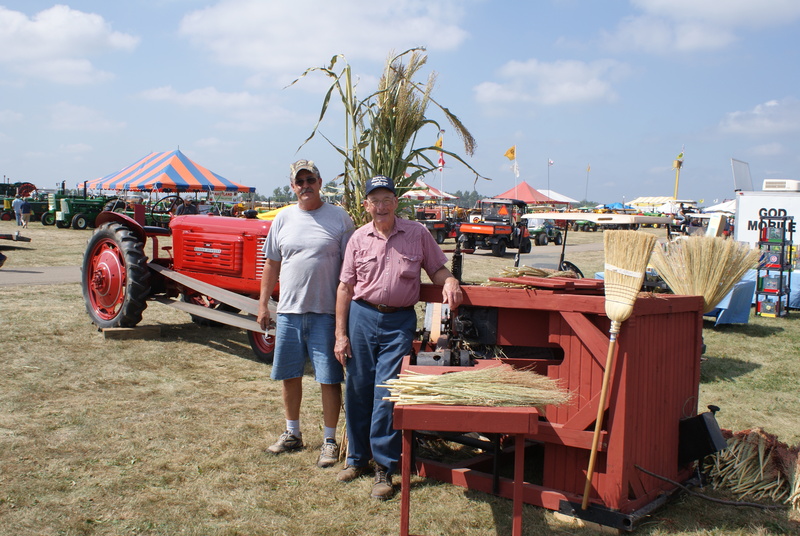 It wasn’t long before they quit raising broom corn in the area and the thresher sat for 50 years out in the elements until Ken and his nephew Dale Carter helped him restore it so he could set up at shows like the Half Century.